These 6 inch fatties are great for big bass. 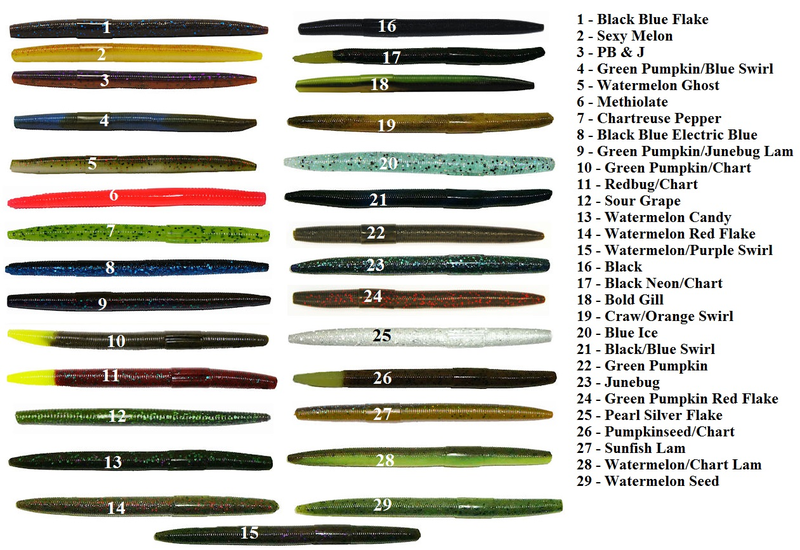 Our senko style baits are the most durable stick baits on the market. Once you try our fatties, you'll never buy from another company again. These are 2x heavier than our 5" Fatties!